Actor Anil Kapoor is a proud daddy. Congratulating his daughter Sonam for “eight hits in a row”, he has lauded her for making “pretty damn good” choices in her film career. He shared a collage of posters of Sonam’s movies. “Neerja”, “Raanjhanaa”, “Bhaag Milkha Bhaag”, “PadMan”, “Khoobsurat”, “Prem Ratan Dhan Payo”, “Veere Di Wedding” and the latest “Sanju” find space in it. From giving a debut performance in “Saawariya” in 2007 to receiving her first National Award for the film “Neerja” last year, the over decade-long long Bollywood journey for the newly wed actress has been a roller-coaster ride. 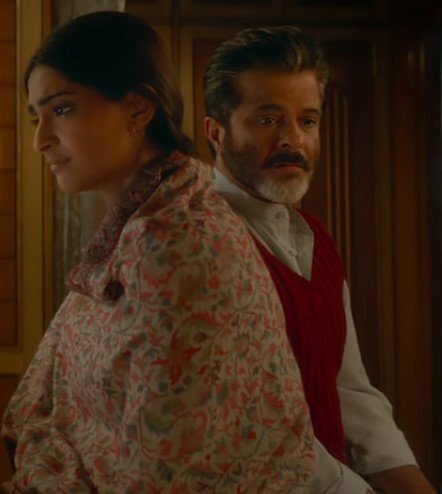 Sonam will be seen opposite Rajkummar Rao in her next film “Ek Ladki Ko Dekha Toh Aisa Laga”, which will also see her share screen space with father Anil. Next articleIs this your anguish or wish Pawan Kalyan?